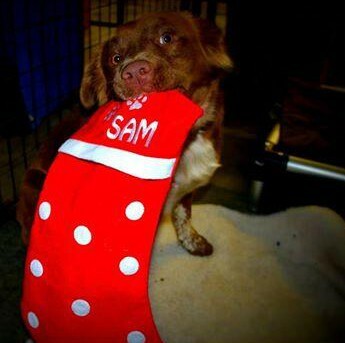 And the stockings were hung…..
Sam’s hanging the stockings – and – you can see our list for Santa on the donations page. THANK YOU!! 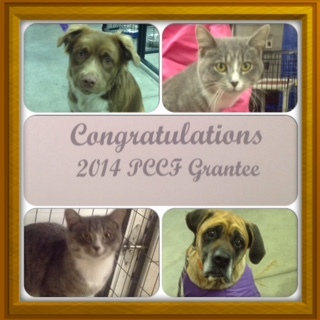 VINTAGE SOUL in Winamac is extending the Pulaski Animal Center Raffle through this Saturday, Nov. 29th. 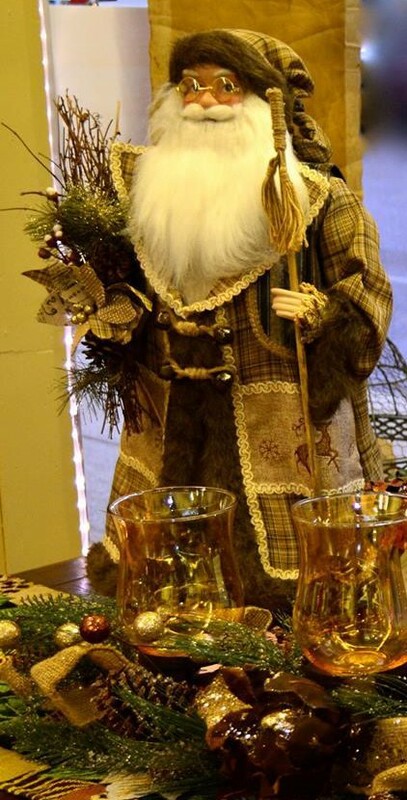 Go get your $5.00 ticket for a chance to win a really neat Santa with all proceeds going to “PAC”. WINAMAC LUMBER OFFERS PHOTO OP! 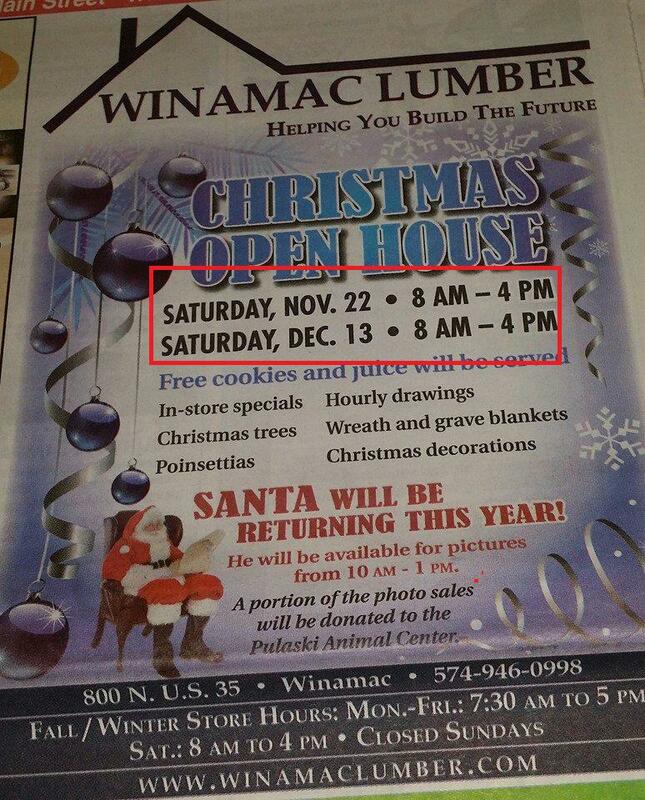 Stop by Winamac Lumber to get pictures with Santa!! Saturday, Nov 22nd or Saturday Dec 13th 10 AM- 1 PM ~ A portion of the photo sales will be donated to Pulaski Animal Center! Thank you Winamac Lumber Yard for choosing PAC! I wasn’t claimed – so I am up for adoption! 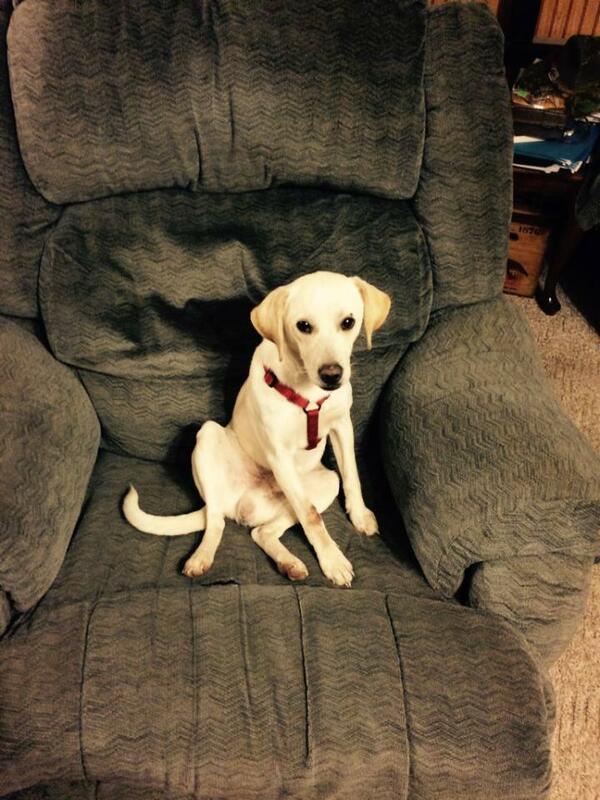 Found two miles south of State Road 119 – Winamac please call 574-946-0265 to claim this beautiful boy. 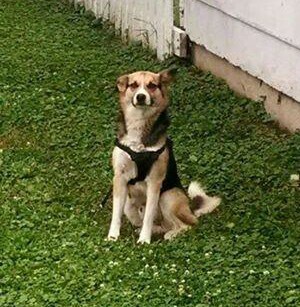 11-13-2014 Lost in the STAR CITY area- Pulaski Street – Border Collie/German Shepherd mix. Name is MAX. Please call 574-225-0269 if found. ORDER YOUR CHRISTMAS STOCKINGS HERE! ORDER TODAY!! 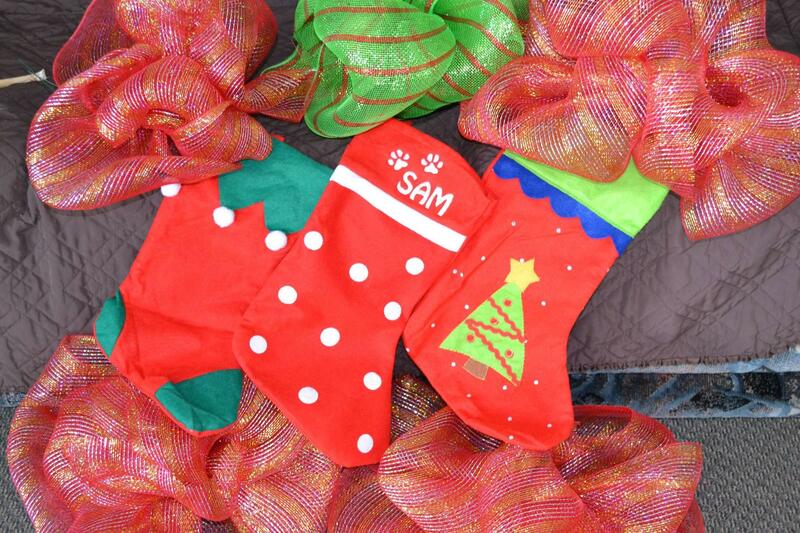 Pick one of the three stockings and we will embroider the name of your choice. 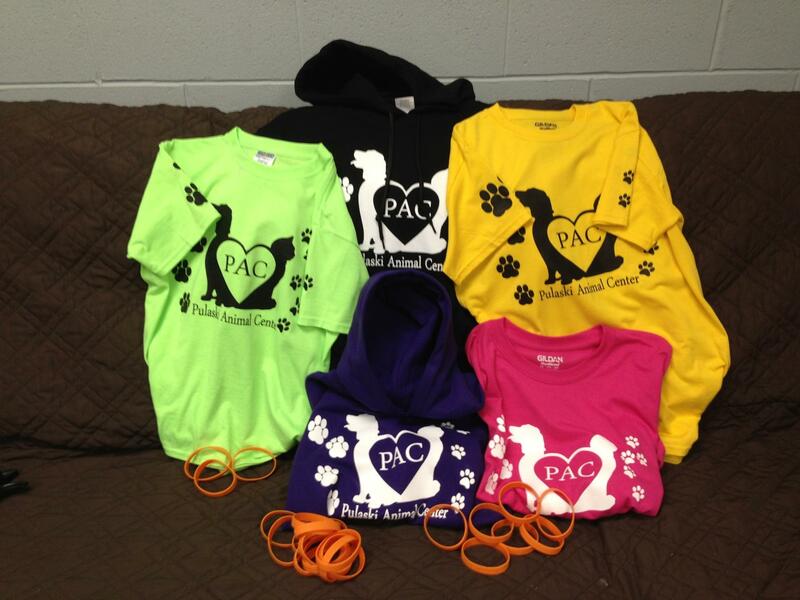 Cost/Donation is $7 each or two for $10 – Please stop by the center to place your order. 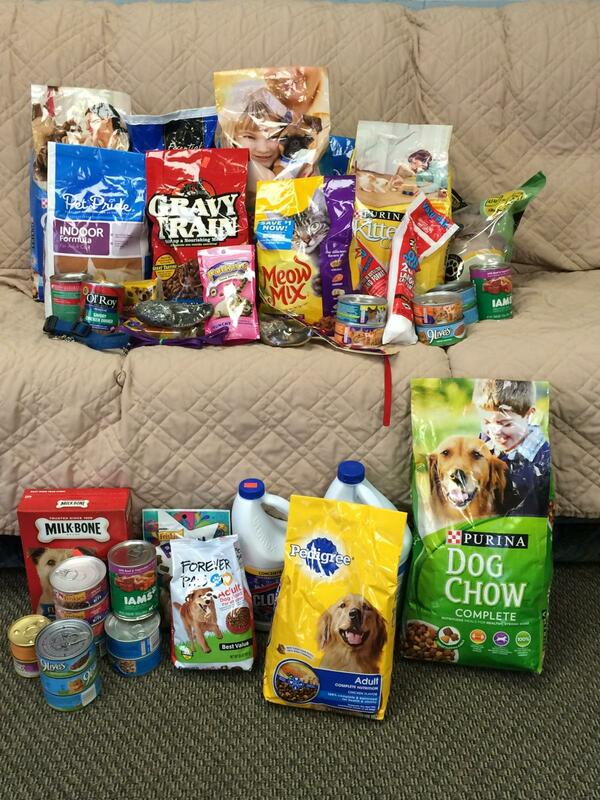 When volunteer Beth Ruff went to Eastern Pulaski Elementary last Friday, she was presented with these donations. Thank you students!! 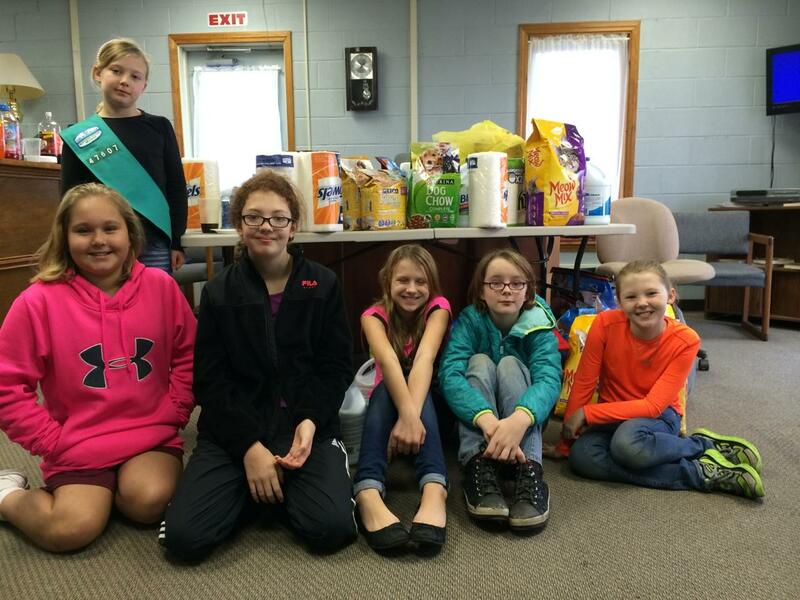 These lovely ladies collected lots of items for the Pulaski Animal Center – along with donations totaling $386. 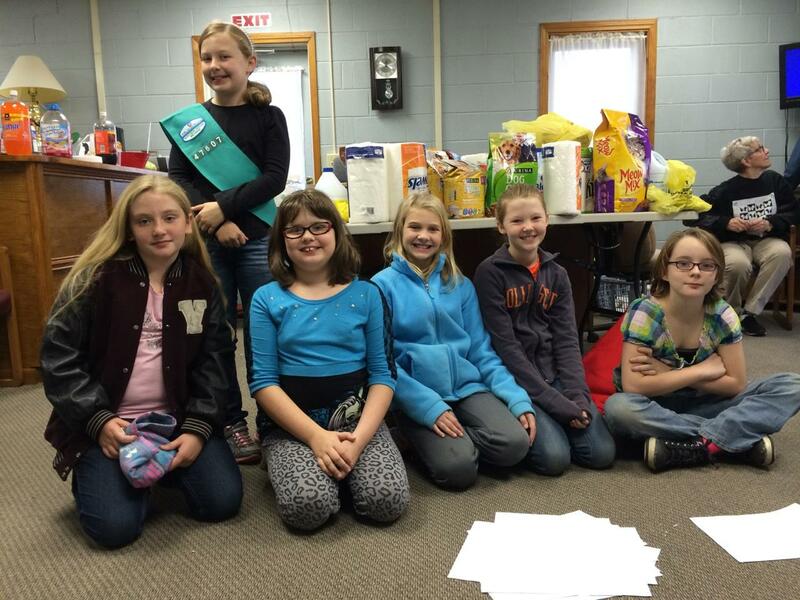 “On my honor I will try……to help other people at all times…” Good work girls. THANK YOU!